It’s the season for giving and goodwill – and so with that in mind, I have just put together a special new FREE download featuring my team’s detailed review of a very profitable tipster from earlier this year. The tipster in question is called ‘The Value Bettor’ – who we have proofed since 2012, during which time he has made a Return on Investment of 35.1% from 1,305 bets advised. 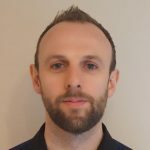 More than just tips, this particular expert provides detailed write-ups to explain the reasoning behind each selection and just why he is backing it. Meet ups at race fixtures are arranged and a general love for the game shared amongst many of his like-minded members. Our review and subsequent recommendation of The Value Bettor is a great example of how a membership of the Smart Betting Club can help provide you with everything you need to make money betting using tipsters. This review is indicative as to the level of detail the Smart Betting Club team goes into when analysing a tipster we recommend. The Value Bettor is indicative of that, having made 213.7 points profit at 35.1% ROI from 1305 bets over the past 6 years. His record is no flash in the pan and he has a clear edge over the bookmaker. 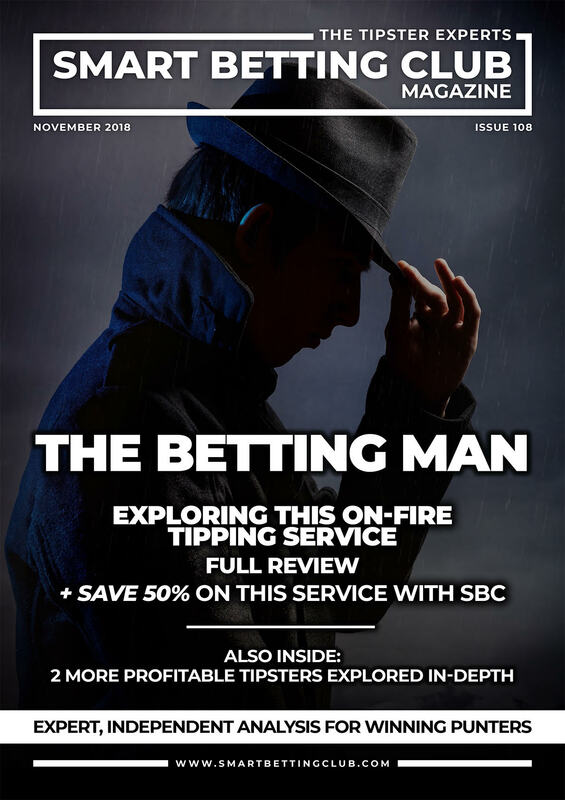 With easy to obtain odds on the tips advised, PLUS the ability to follow on the exchanges, its a great example of the type of tipster many SBC members follow in order to win at betting. If you enjoy this review and are keen to learn more on many other tipsters just like The Value Bettor then you might like to consider a Smart Betting Club membership. The Value Bettor is just one of many tipsters providing advice across a range of sports and markets that we track, analyse and recommend for Smart Betting Club members to follow. What’s more, as a Smart Betting Club member, you can also enjoy a significant discount on the cost of joining tipsters like The Value Bettor, thanks to the special deals we negotiate on your behalf. There was a very welcome announcement last week on the topic of Minimum Bet Guarantees with news that Betfair have decided to extend their own £500 guarantee to cover all races from 10am onwards each day. Previously, Betfair were only offering this guarantee on Class 1 and 2 races, so the fact it’s been expanded onto all UK and Ireland meetings is certainly a positive step for shrewd punters looking for places to bet. This news also counters the reduction in value we have noticed from Bet Victors own offer and the fact their Bet Guarantee market overrounds have been steadily increasing since their introduction a few months back. Bet Victor – Offer a separate ‘Guaranteed Bet’ market for every UK/Ireland race, where you can win up to £500 from 11am onwards. Both win and each way betting is allowed. Those of you who have had Bet Victor accounts closed in the past can also apply to have them reopened, so you can bet into this Guarantee market. Betfair Sportsbook – Recently expanded to cover all race meetings in the UK and Ireland, you can now bet to win up to £500 from 10am onwards. Win only and those of you ‘stake factored’ (i.e. restricted) in the past can bet without issue. Skybet – Their own guarantee covers Class 1 and 2 races only and they will lay a bet to lose up to £500 from 10am onwards. As referenced above, we have noted a number of changes in Bet Victor’s own £500 Guaranteed bet offer, specifically regarding the overrounds and quality of odds available in this market. When this offer was first launched, Bet Victor confirmed to me that their ‘Guarantee’ market odds were identical to those offered in their ‘normal’ racing markets. If you logged on at 11am and could only place a bet in their guaranteed market, you would get the exact same price as everyone else betting at Bet Victor. It then became quickly apparent that this initial policy had changed with a gradual decrease in the odds offered if betting into the Guaranteed market compared to elsewhere on the Bet Victor site. As time has worn on, the Guaranteed market odds have continued to drop and this recent study by the TAPS website outlines the increase in overround and thus reduction in odds value that Guaranteed market punters are seeing. Examining the first 18 races on one Sunday last month, they found a 117% overround in the normal Bet Victor market, compared to a 126% overround in the Guaranteed market. Quite the difference with 131 out of 189 horses on that day at shorter prices. Whilst I don’t agree with the TAPS authors assertions that Bet Victor’s offer is a ‘publicity stunt’ and of no value – what is clear is that if betting into their Guaranteed market, you need to check the odds on offer first. How many of you unable to bet due to restrictions would take 11/4 instead of 3/1 if it meant you could win money long-term? As long as you don’t lose your profitable edge taking a lower price of course. So whist the Bet Victor guaranteed bet market is clearly no silver bullet for restricted punters – it is of value if the odds on offer stack up for you. From the outside looking in, it seems that Bet Victor’s original intention to offer the same odds was not deemed sustainable and ultimately if we want Min Bet Guarantees to work, then higher overrounds is the price we might well have to pay to achieve that. I do wish Bet Victor could have communicated these changes better as simply changing the odds without making it clear why only serves to frustrate and make punters wary that their intentions are genuine. Without legislation compelling Min Bet Guarantees from all bookies, no firm is going to voluntarily offer a market if it makes them a loss, so we have to be realistic in our expectations. Don’t forget either that Bet Victor are the only firm offering both win and each way bets – with the latter allowing punters to punt in well known ‘each-way thievery’ races and get preferential terms. As it stands, only Betfair, Bet Victor and Skybet have £500 online Minimum Bet Guarantee offers, although the clear hope from those liaising with them, such as the Horseracing Bettors Forum, is that more firms join the party. Betfair’s offer is the best for win-only betting from 10am onwards, whilst those of you betting each-way can use Bet Victor from 11am – although being sure to check the value odds on offer when doing so. The Skybet offer is a way behind, covering as it only does Class 1 and 2 races thus far. You would like to think with their high profile commitments to responsible gambling, one aspect of this would be to expand this offer to allow all punters to bet with them – both winners and losers. Otherwise, how responsible is it if Skybet only take bets from losing gamblers? Not at all in my opinion. As and when any other bookmakers roll out or update their own offers, I will keep you updated. You can also follow the Smart Betting Club on Twitter (@sbcinfo) where I also share all breaking news on topics such as this. If you have any questions on the above or how a Smart Betting Club membership can help you, please contact me directly via pete@smartbettingclub.com and I will be only too happy to speak with you.